On the heels of Cellscope, a device that clips onto a smartphone to analyze blood samples, comes Gene-Z, a device that can clip onto an iPod Touch and identify diseases in crops and plants. The traditional approach to identifying plant pathogens is to collect field samples, send them to a laboratory, and await the results. With Gene-Z, researchers said, they can take a swab of plant pathogens, transfer the sample to a kind of “lab-on-a-chip,” insert the chip into the device, and get results within 10 to 30 minutes via smartphone technology. Gene-Z was unveiled November 7 at a conference of the National Plant Diagnostic Network at the University of California, Berkeley. As reported recently by Miller-McCune, new technologies invented at the University of California can convert cellphones into microscopes, making it possible to for doctors in rural villages far from hospitals to identify malaria, parasites and HIV antibodies in blood smears. 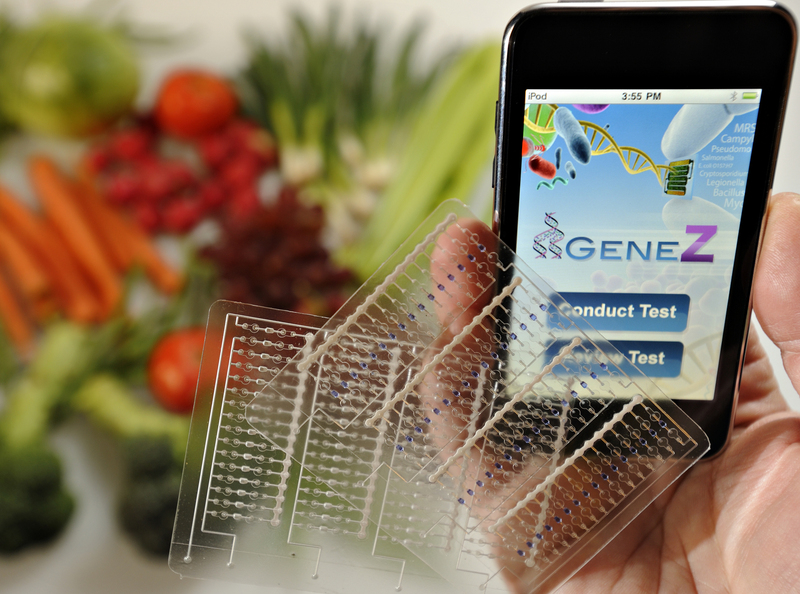 Gene-Z uses an iPod Touch or Android-based tablet to identify a plant pathogen and its genetic makeup and calculate its amount. Gene-Z already has been used to test a new disease that is devastating cucumber crops in the United States, researchers said. The device is ready to be manufactured, and Hashsham is working with MSU Technologies to bring it to market.